“Bodywork” sessions are like nothing you’ve experienced before. It is not what you imagine when you think of a stereotypical massage session. These treatments are designed for people who have specific issues that need addressed from chronic pain and mobility issues to headaches and sports injuries, and everything in between. Unlike a typical massage, bodywork is done fully clothed and most of this work will require you to participate in the process. You will be asked to do some movements, I may assess your range of motion or the way you walk, and communication will be key to ensure we are headed on the right path. For these reasons, you will need to bring workout attire such as shorts or yoga pants and a t-shirt to wear during the session. While CST + NM fall into the bodywork category because of their ability to work with and reset the nervous system, these modalities are performed in a very quite/relaxing environment without much communication. I usually end a bodywork session with CST + NM to calm the nervous system, get you revitalized, and enable you to conquer the rest of your day. Most forms of therapy rely exclusively on addressing the “hardware” of the body, neglecting the fact that much of the pain and dysfunction we experience is often actually a problem with our “software”. To use an analogy, if your computer has a software bug, changing the monitor or keyboard will not solve the problem. P-DTR® works by effectively identifying, isolating, and eliminating those bugs. The work is rapid, tremendously effective and will leave you in awe. 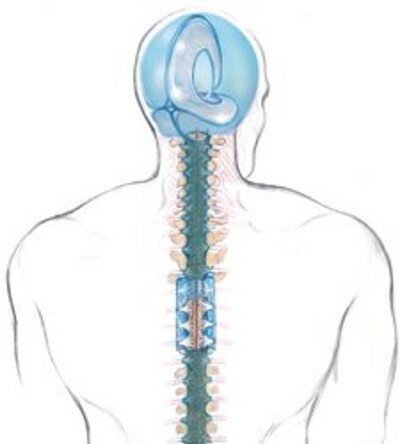 CST and NM are gentle, hands-on methods of evaluating and enhancing the functioning of the craniosacral system - comprised of the membranes and cerebrospinal fluid that surround and protect the brain and spinal cord - and the nervous system.